As the game starts, choose a color. This card gains that color. 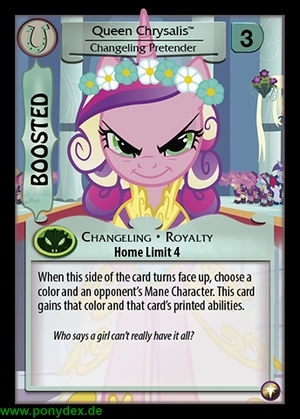 When an opponent's Mane Character turns over, turn this card over. 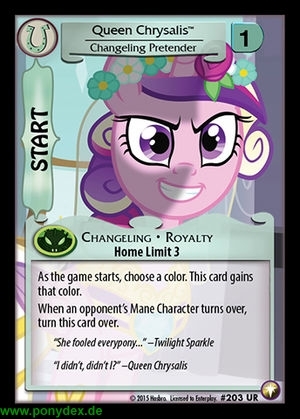 When this side of the card turns face up for the first time each game, choose a color and an opponent's Mane Character. This card gains that color and that card's printed abilities.